I am looking to leave my job and have saved up enough money to take some time off afterwards. However, I would still like to negotiate an exit where I would commit to working for five months, provided that the company can state that I was laid off or that I quit for "good cause." This will allow me to collect unemployment. I am hoping to try this, as the company I work for is extremely understaffed and needs the time to transition work and hire a replacement. I would also like to leave with everything organized and on good terms. Here's my question: Is this possible to do, and who is the best person to speak to about this option -- my manager or the HR department? My manager can be highly emotional and reactive, so I prefer to work through HR first. However, I'm not sure if the HR department is going to be amenable to this. I'm not sure about the best way to move forward. I caution you that this will not be the answer you want, so you may wish to stop reading now. I may be a big fan of vacation,but I am not a big fan of taxpayer-subsidized vacations, and attempting to get unemployment in order to extend your time off is not something I can support. That is not to say there aren't times and place to negotiate an exit that will allow you to receive unemployment -- there certainly are. For instance, if you were on the verge of being fired, or if your boss was causing you extreme psychological or physical trauma and you needed out of that job immediately for your own well-being. In these cases, I absolutely support a negotiated exit with an agreement not to oppose unemployment. But you've said nothing that indicates that this is the case for you. In fact, you're looking to work for five more months, which tells me that your situation is not dire. So buck up, and if you need a little bit more money before taking your time off, work for six more months; better yet, negotiate a leave of absence so that you have a job to come back to. Many people assume that because they are bright and capable and have done a good job in the past that it will be easy to land a new job when they get done adventuring. While some people find that to be true, many do not. They take their three months off and then start looking for a new job. Then they look and look and look and when they finally get a job interview and the interviewer asks, "Why did you leave your last job?" and the answer is, "I wanted to take some time off!" they notice that look in the hiring manager's eyes that says, "Nope." Why? Because if you left the last job to go find yourself (or whatever), why wouldn't you leave this job for the same reason? Managers want consistency. Managers want employees who want this job. Managers don't want people who are saving up for their next big adventure -- if that adventure involves quitting the job to take it. 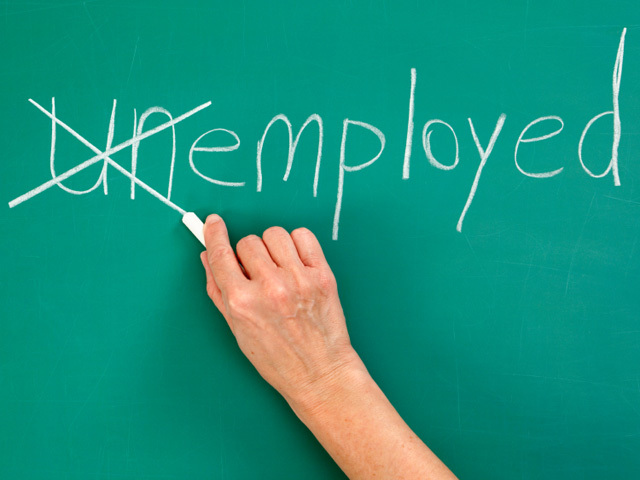 Being unemployed makes it far more difficult to find a new job than it needs to be. And plenty of currently unemployed people would tell you that you are nuts to voluntarily enter this situation. But if you want to go this route, you'll have to deal with your "emotional and reactive" manager. HR can help you navigate company policy and let you know if it's even a remote possibility that this could happen. But the person with the decision-making power is your manager. And if the request comes from HR rather than from you directly, it will be less than helpful. Great managers will be pleased with the long notice period. As you said, it will allow them to recruit and even train the new person before you walk out the door. Reactive and emotional managers, however, are likely to react (and I hate to say it) emotionally. They tend to take resignations personally. (Which often makes sense, because the reason most people leave is their boss.) They also have a tendency to react to resignations by saying, "Well, fine. today is your last day," which would (ironically) make you eligible for unemployment. It would also cut your time line down. If you absolutely are intent on doing this and taking time off while milking the unemployment system, you can always ask. Go directly to your boss, explain your situation and ask if, in exchange for extended notice, she'll ask HR not to fight unemployment. But keep in mind that the company can only "not fight" unemployment. They can't give it to you -- that's a state decision. And the company has to be honest. So even if your employer says it won't oppose your filing for unemployment benefits, that it doesn't mean that you'll get it. But be careful not to use phrases such as, "I would also like to leave with everything organized and on good terms," as negotiation terms. You are required to do that regardless. That's called being a responsible employee. It is not a bonus. You need to come up with something that is a bonus for your employer for them to go along with this. This has bad plan written all over it. My advice? Look for a new job and try to negotiate a start date that is a certain number of weeks down the road and get your time off that way. Lots of managers are amenable to an extended start date.